The Nokia X family is interesting to say the least. 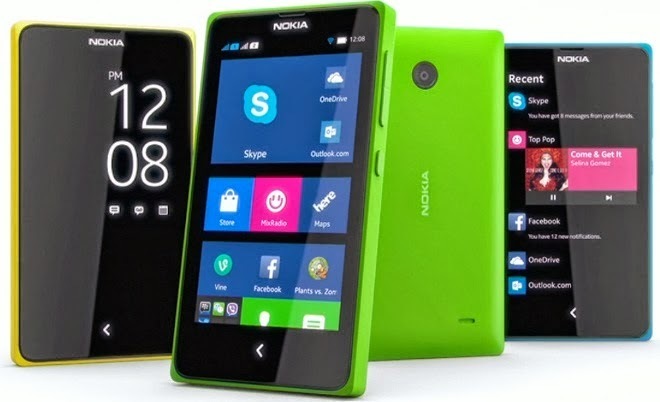 Nokia introduced this series in February 2014 and have quite the array of phones, from the Nokia XL, to the Nokia X2. What surprises me about these phones is the fact that they run on their own Nokia X Platform, which is an Android and Linux based OS. They don’t even have the Google Play Store! They have their own Nokia App Catalog! The main models of the X Family are the Nokia X, X+, X2 and of course, the Nokia XL and XL 4G. I’ll mainly be focusing on the differences between these models, focusing on the XL (as it’s the coolest and most interesting in my opinion). And other miscellaneous facts, like the fact that it weighs a surprising 190g. Speaking of weight and size, this is probably one of the biggest drawbacks of the phone. Although 190g and 5” screen doesn’t seem like much, the bezels on this model are enormous, and it’s around 11mm thick, all of this combines to make somewhat of an unwieldy phone. If this doesn’t bother you, then great! It’s solidly built, and it isn’t likely to bend in your pocket unlike other phones (unlike a specific unnamed Apple phone…). If you take a look at earlier models of the X Family although the screen size is obviously smaller than the XL, the dimensions of the phone are a lot more comfortable, and the phone as a whole weighs less and is slightly more comfortable. Compared to earlier models of the X series (like the X and X+), the Nokia XL is an improvement on almost every other aspect though. More RAM, higher resolution camera almost doubled battery life with a whopping 41 days on standby and most importantly, 16 hours of talk time, 3 more than both older models and 1 more than the later XL 4G. Unfortunately on the 17th of July, Microsoft stated they had a “plan to deliver lower cost Lumia devices by shifting future Nokia X designs and products to Windows Phone devices”, bringing an end to the Nokia X Range. Sad times! You can still purchase these phones however, it’s a lot cheaper than most smartphones these days, and the Nokia XL, as well as other models in the X series will serve you reliably. Nokia is known for phones that last, and the Nokia XL is definitely no exception.